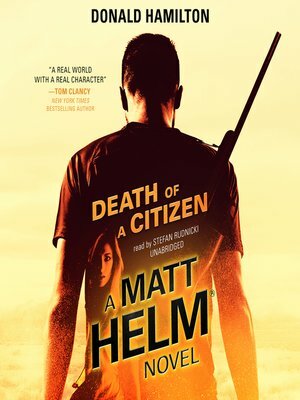 Matt Helm, one-time special agent for the American government during the Second World War, has left behind his violent past to raise a family in Santa Fe, New Mexico. When a former colleague turns rogue and kidnaps his daughter, Helm is forced to return to his former life as a deadly and relentless assassin. Originally released in the era of the James Bond novels, the Matt Helm novels were considered grittier and more realistic than Bond, garnering them critical praise and an ardent audience.